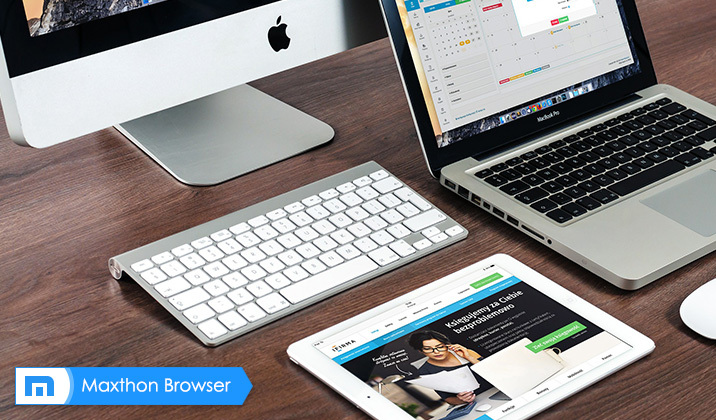 We are so excited to announce the latest version of Nitro Web Browser. We are moving closer and closer to the final version, so your feedback at this stage is absolutely critical and appreciated.Today, we are proud to introduce the brand new menu in Nitro Web Browser as well as several bug fixes in v1.0.0.800. We worked very hard on this release especially the main menu but we’re not done yet. We have plenty in store to make Nitro to be the best power user web browser ever. To give the new version of Nitro web browser a shot, click the button below. To open Nitro Web Browser, simply click the button above. Please note, this version is only available for PC users. For the portable version, please click here. Don’t forget, we need your feedback to continue improvements and create a web browser for users just like you. Any questions? Email us at Lightning@maxthon.com and thanks again for helping us make the best web browsers possible. Maxthon Nitro was a hit, we Brazilians are very excited about it. Congratulations ! this new Nitro Web Browser is powerfull ! Its a very good browser. I’ve got to ask, the potable version is self-contained, right? It doesn’t leave any data behind when moving from computer to computer? I use this at a college where computers are set to clear all data every time you shut down, so I need to make sure it’s all on the drive. I downloaded it but that is as far as I could get. Would like to see how it does! The fastest browser I have ever seen. Check out my post on my website! i got to the setup nut when it is 90% it stops loading and exits. HELP NEEDED!!! i have heard about this browser and all my friends are using it… they say it is great so i want to try it but right now im getting humiliated. hey dude! actually its done! The best browser,i like the big speed. This browser gets even faster if you run it with adfreedom installed, this will remove all adverts from the datastream..
hello. I need the program. From the website you can not download. G’day, it is faster loading pages than Google and Bing for us which have to endure slow adsl speeds in Zimbabwe. yes,i used maxthon but…when its loaded up 90% it stops. please help me. And the best browser is google ultron – used by NASA, powered by adobe. im not telling that maxthon slow its speeder than light . ohhh Thank You. How about a Linux Version? Sorry for any inconvenience brought to you. We apologize to you that we stopped updating and supporting Linux version for long. Thanks for your attention at our product, do you want to try our other version? really really fast,but one thing I miss, is that the page zoom is not saved next time when you open browser. love this browser but there is only one problem that is doesn’t have setting page. so please try to get setting page as soon as possible. Actually, you are using an old version, we recommend you upgrade the latest version. And if the issue still occurs, let us know. We well check it as soon as possible. We apologize to you that we stopped updating and supporting Nitro for long. Hi there! MX Nitro is great!!! Keep that main idea for the project. I’m waiting a Mac version of it! Cheers! Thank you for your attention and we are glad that you like Maxthon. If you have any suggestion, please feel free to contact us. I find it very ilogical to use a browser which does not incorporate a Restore Session after a windows crash. It feels like a huge disconsideration towards Internet Users. Thank you for your attention to our blogs. If you have any suggestion on the content or anything else, please feel free to contact us. That’s not just the best anrswe. It’s the bestest answer! hola muchas felicidades este navegador me facino es muy bueno deje de usar el zorrito xq este cumplio mis espectativas por favor no lo dejen caer yo soy mexicano y gracias por este gran aporte saludos. Thank you for your comment on our blog and interest in Maxthon browser.If you have interested in Maxthon’s other product, welcome you to join our official forum by http://forum.maxthon.com , where there will be many Maxer and Maxthon staffs sharing and communicating with each other! 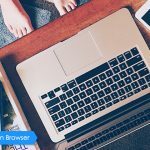 Gracias por su comentario en nuestro blog y el interés en el navegador Maxthon. Si usted ha interesado en el otro producto de Maxthon, le damos la bienvenida a unirse a nuestro foro oficial por http://forum.maxthon.com, donde habrá muchos Maxer y Maxthon personal Compartir y comunicarse unos con otros! the posts are too short for newbies. May juhst you please prolong them a bit from next time? Hi, what do you mean by “configure” it? You can always launch it after installing successfully I guess? Love the browser… it’s a winner. Going to try it on my wifes very slow IPAD now. For iPad, you can try MX5 browser! I’ve just installed Nitro Version:	1.0.1.3000, i would gently nkow how to set something or how to install some plugins. Hi Jonathan, Nitro is a browser that is aiming to be extremely fast and simple, so you couldn’t install plugins on this browser. Hold on to your socks! 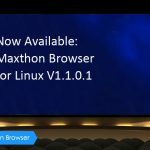 Maxthon v4.4.3.1000 for PC is here! Behold and enjoy! HTML5 Fixes and Optimizations in v4.4.3.2000 for PC!